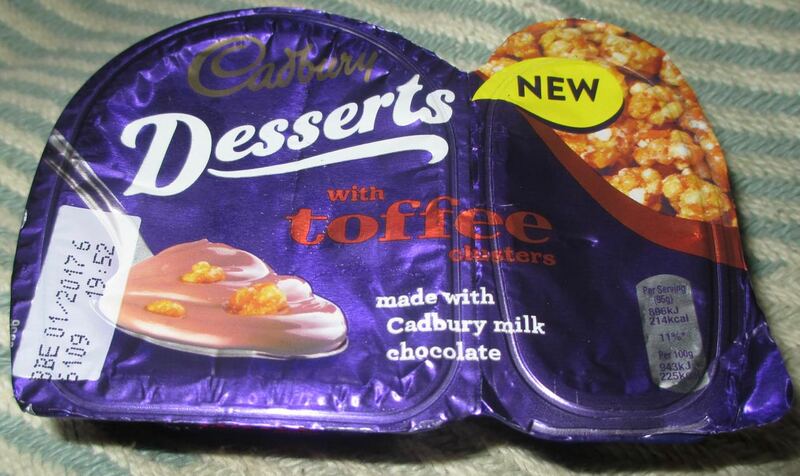 These new desserts are from Cadbury, and I spotted them listed online when I was doing my online grocery shop. When they arrived I popped them in the fridge to chill and I noticed their best before date... It was in 2017! I realised these must be long life in some way, but still put them in the fridge because I knew I'd want to eat them cold. After dinner one night I opened up one of them and again was a bit confused. These had been stored flat in our fridge for a few days. 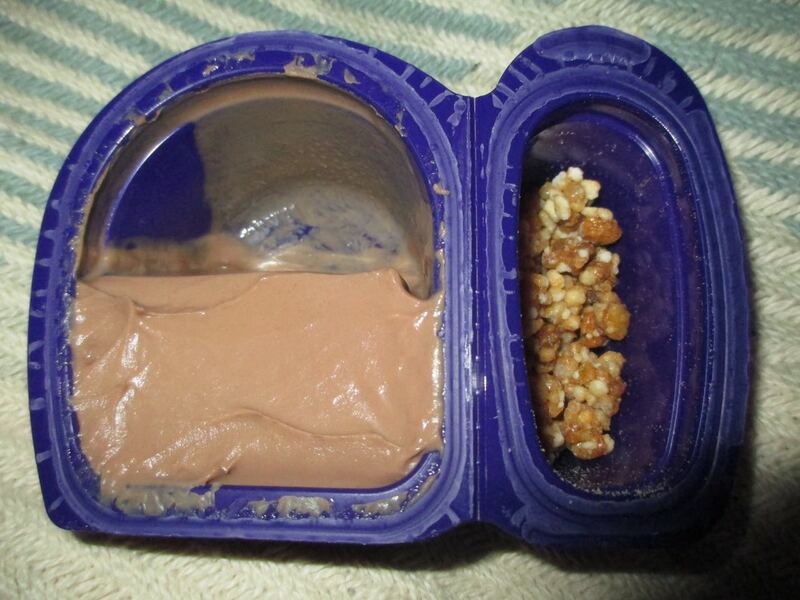 However the filling on the chocolate side was only filling the bottom half of the tub. It was like they had been kept on their side, but they really weren't, these desserts justdefy gravity. All of them were like it, and I'd bough four pots. It meant there was a neat place for the toffee clusters to fall into. The chocolate substance was thick, and slightly gelatinous in its texture. 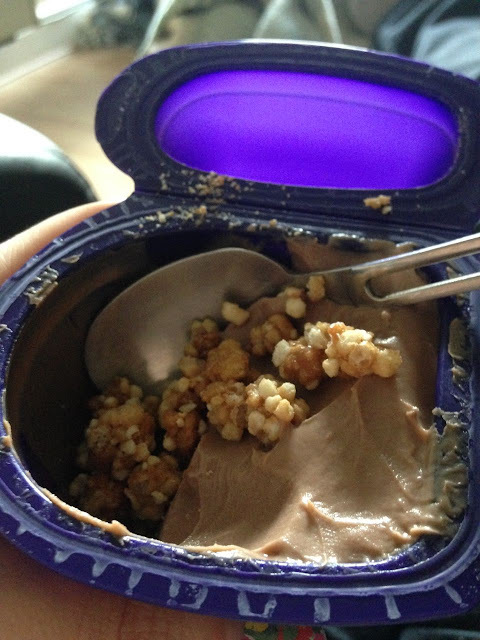 I like the flavour, but it didn't seem as indulgent or as creamy as the usual Cadbury desserts. Mainly it was the texture, it was just a bit to thick. The crunchy bits had a nice toffee flavour and added a bit of a crunch, but even these seemed lacklustre. The desserts are fine, but not something I'd pick up again, every other Cadbury dessert I've tried has knocked these ones out of the water.